Calling all the black ladies! 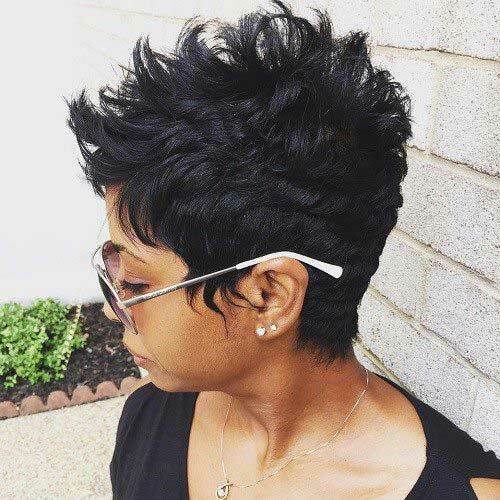 Here we have collected Gorgeous Ideas About Pixie Cut for Black Women that can inspire you to get the chop! 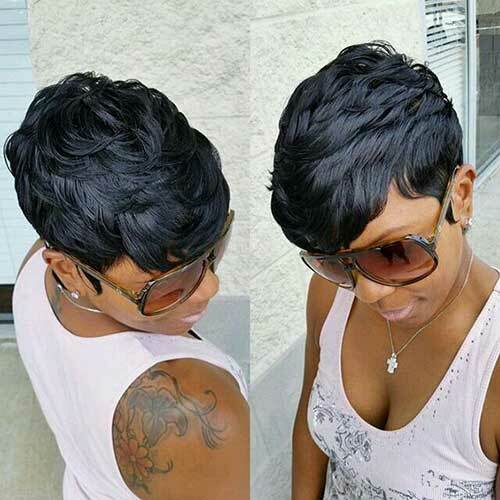 Pixie hairstyles are easy to style and great for summer. 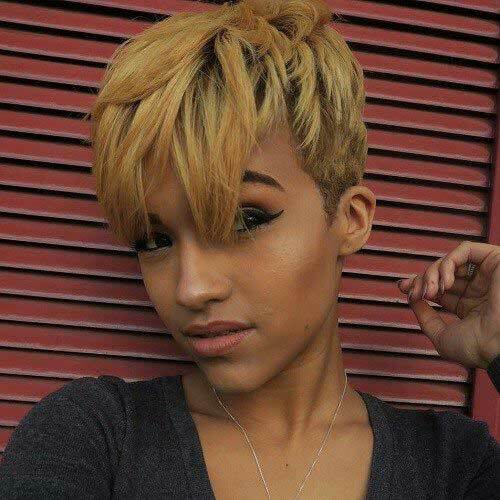 Black women can sport many different pixie cuts like this ash blonde pixie with bangs. 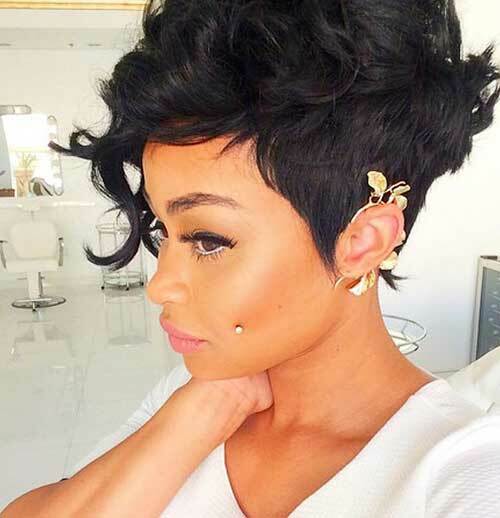 Smooth and short pixies frame the face of the wearer nicely. You can sport long pixies with straight or wavy hair. 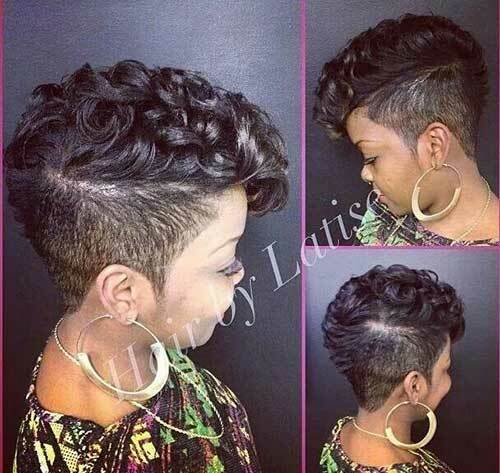 If you have round face pixies with lots of hair on top would look great on you. 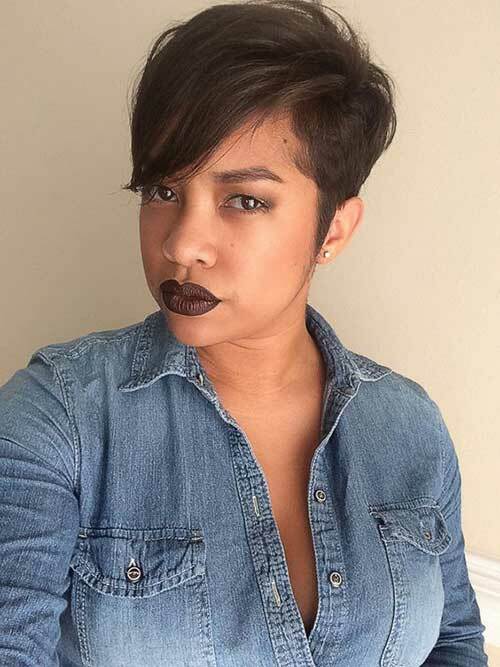 Here is another dark pixie cut for casual looks. 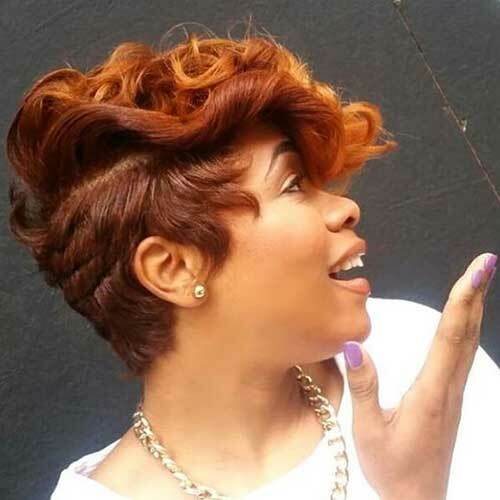 If you like funky styles this red short hairstyle with wavy bangs would be a perfect choice. 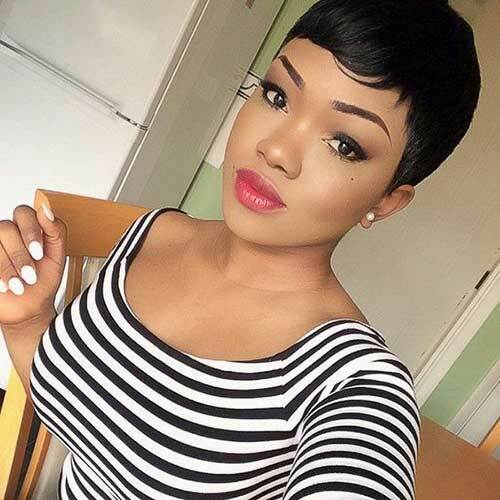 This straight dark pixie with side bangs nicely emphasize her facial features. 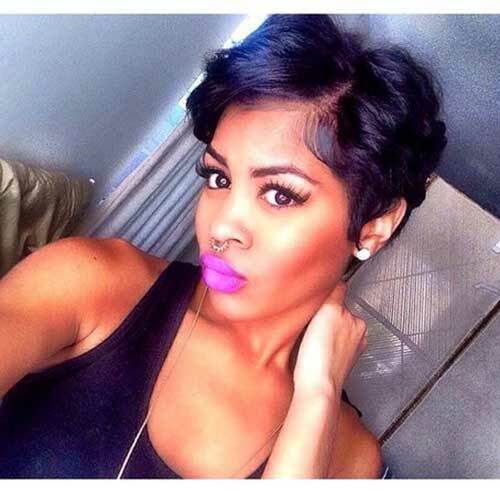 This simple black womens short haircut will frame any face. 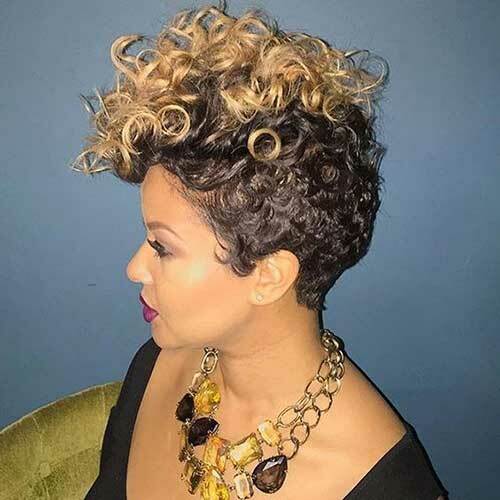 This Mohawk hairstyle is a great way to stand out of the crowd. 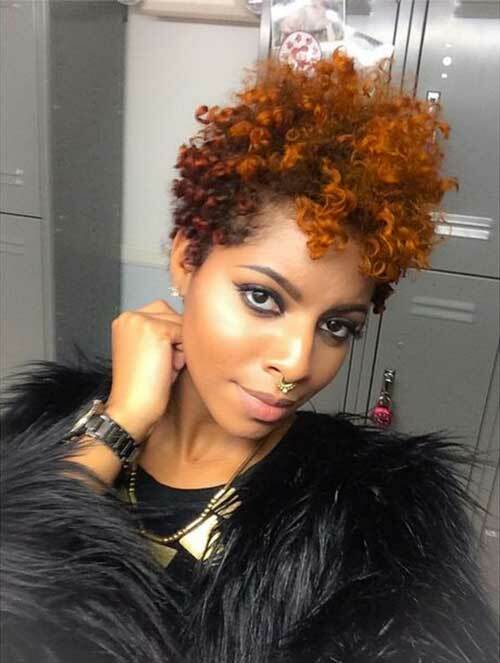 Here is another short curly hairstyle that many flatter your facial features. 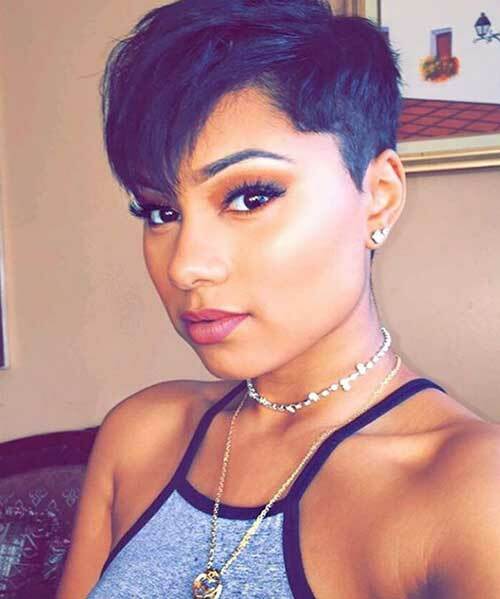 This colored natural short hairstyle looks really unique and stylish. 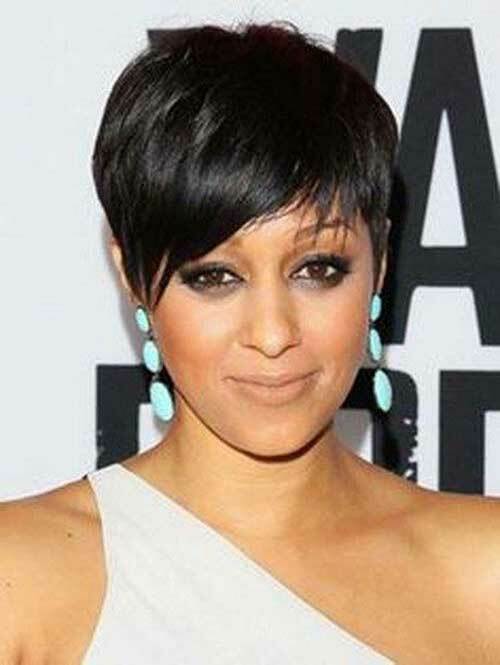 If you want to sport your hair straight this dark pixie cut may be your guide to perfect style. 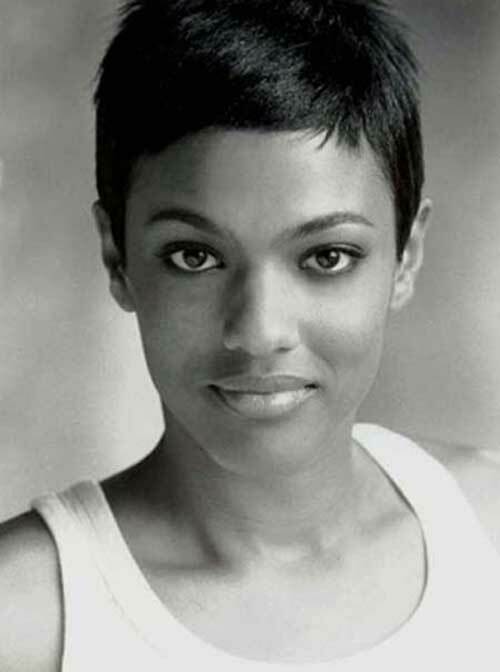 Spiky short haircuts are also great for black ladies. 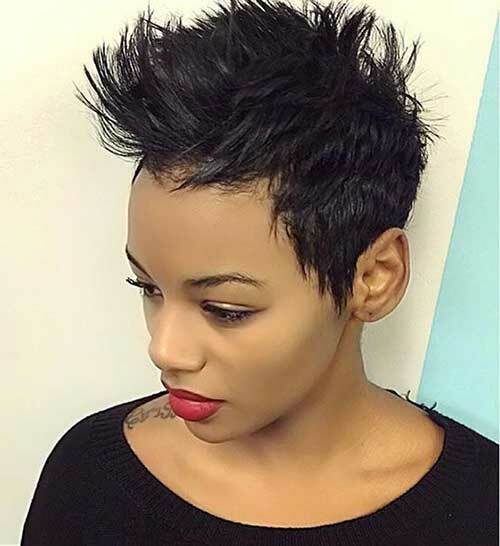 Do you like edgy styles? 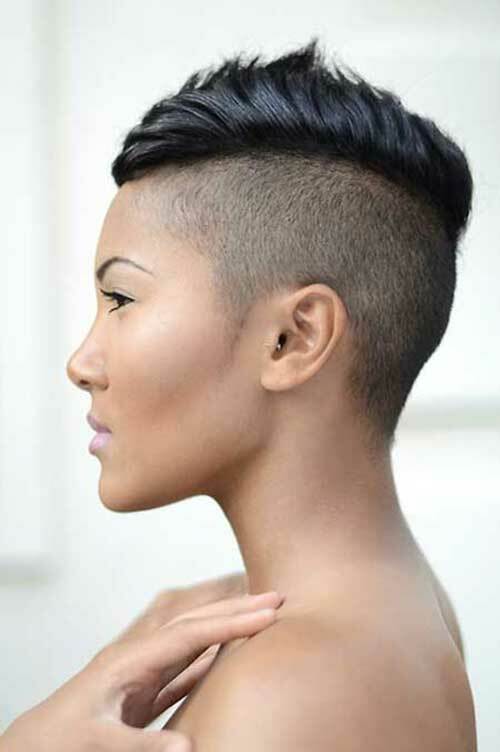 Here is a edgy short haircut with shaved sides. 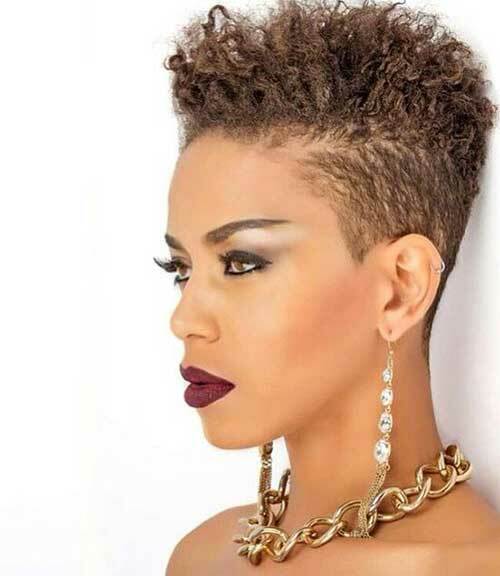 Here is a natural tapered short hairstyle for black women. 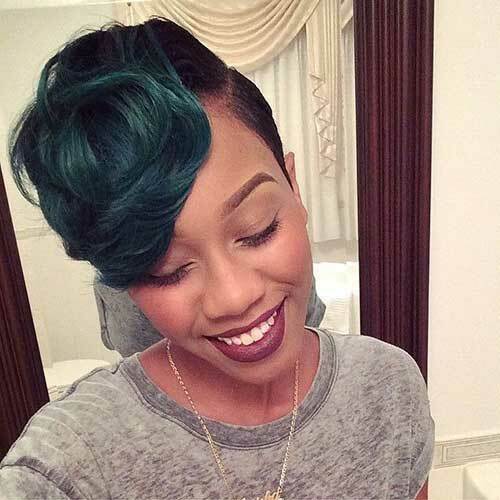 Here is a really stylish black womens short hairstyle with green hair coloring. 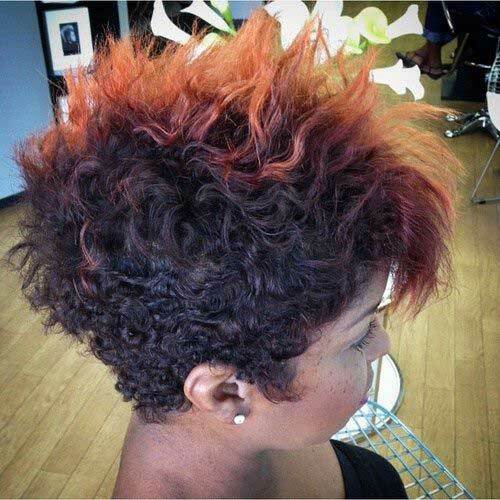 Mohawk hairstyles are also really popular among black women, this Mohawk below colored with red hair color. 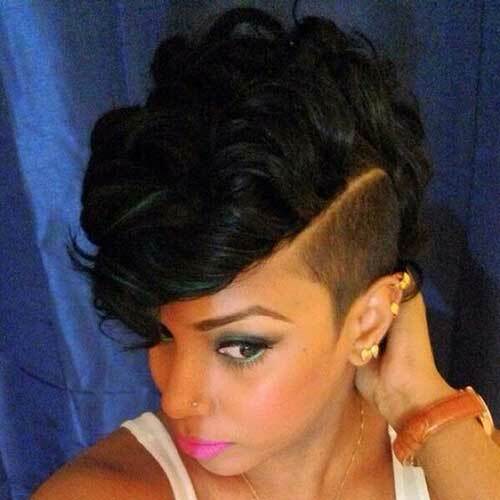 Her tapered dark pixie style with long bangs is just gorgeous.